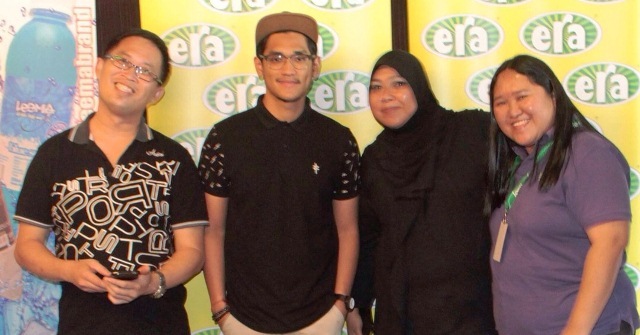 Three bloggers from the Sarawak Bloggers Society obtained invites to meet Indonesian famed artist Afgan during his maiden visit to Kuching today. The trio which were given free all-access passes by ASTRO Radio Sarawak, were very happy to share the amazing moments with the star and the crew of ERAfm Sarawak through all their social media. Aside from attending the exclusive meet and greet sessions, Khairool, Aliey and Ophelia managed to also take photos with Afgan, as they took plenty of shots of the historic moment which was happening at the Hills Mall Kuching. The most awaited moment of Afgan’s visit to Kuching then came on Sunday afternoon, when the good looking artist started serenading a huge crowd of fans at the atrium of Hills Mall, and bringing up a few ladies much to their delight. To know more about what happened, visit the blogs of Aliey, Willie and Ophelia. On behalf of the trio, we thank ASTRO for the opportunity.